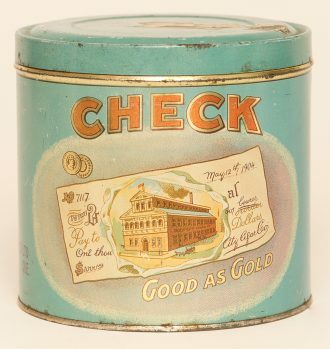 Round canister tin for Check Cigars "Good as Gold". Holds 50 cigars with great image of a check on the front dated 1904. Can is in great condition with bright colors and minimal wear.